One of my ongoing projects is this little italian. It is actually Tapani, and Juha who have given me the inspiration to start such a project. I can't buy everything unik in resin, some stuff I just have to make myself. I will make it all stock, and the only parts I had was the resin reissue of the old Revell Parts pack body, and hood. 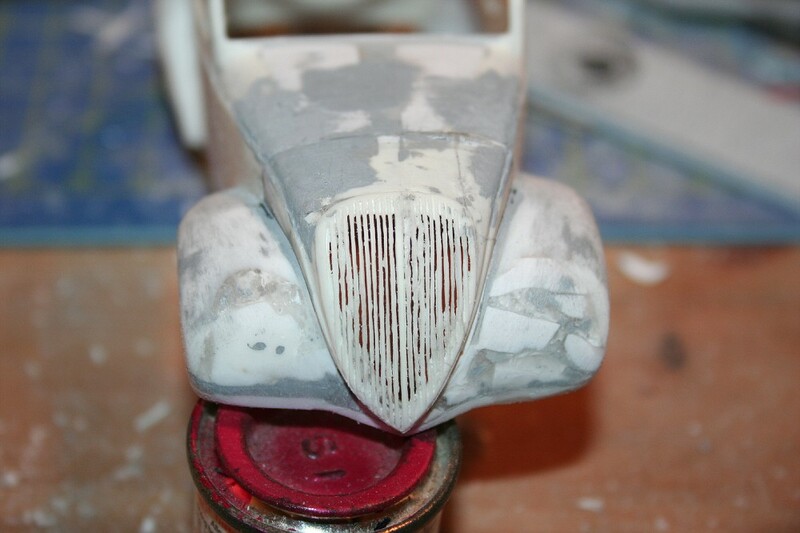 I started with glueing on some Revell Beetle fenders. The front fenders fitted very well, but I had tomake some cuts in the rear wheelopenings, alowing them to be bended, and fitted to the body. 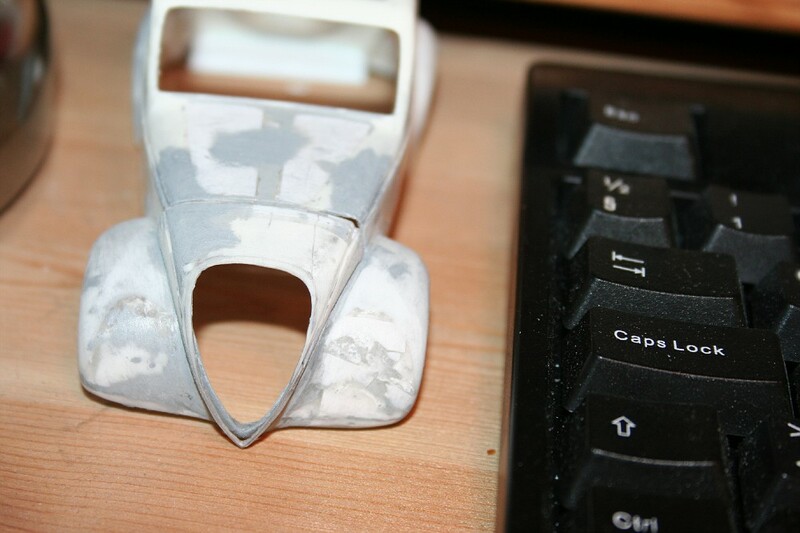 I choosed to overdo the total width, and have insted added material on the undeside of the fenders, allowing me to narrow them, and forming them. It has been a lot of testing and fileing up front to come to this point. Now there's something you don't see everyday. Looks nice. Jones kirjoitti: Now there's something you don't see everyday. Looks nice. I'm not the only one building one at the moment. With some luck, it might be two of thes at Grevens Glue Galore in Motala this summer. Still then I have to hurry. A great start and like Jones said, truely something you don't see everyday. Say Hi to Futten if you see him. Guess Futten will visit me this evening. we usually are here at my house building models on thursdays. I also realized that You had added me to Your friend list on Fotki, nice, lol, thanks. There are a collection of pictures of very crappy models, mostly as those have been on the time I've located those, or even my very own old builds. Lately there has been added some of my current works too, like "Transit" lol. Well yeah, enough blabla from me in a short period, but hey, we'll keep in touch. One more time, welcome to our forums, mate. Hello there! That'll be a nice li'l rod when done!!!! Slow progress with this one. I'm using most of the modelling time on my Anglia, '80 Cadillac and '33 Chevy P/U for the moment. Hope they will be finished to "Grevens Glue Galore"
I had to remove the grill, cause I couldn't get it centered. Don't like it, cause now I have to scratchbuild it. Just like everything else with this project. Olle!! This will not be a rod!! Tor Henning kirjoitti: Olle!! This will not be a rod!! Well.....I'll just sit back and wait and see what it'll end like....LOL!